Cycle factors like length, regularity, and bleeding can affect your ability to conceive by as much as 50%. By taking the correct supplements at the right time, you can improve cycle issues and dramatically increase your chances of getting pregnant. The right formula, at the right potency, delivered at the right time can powerfully affect your cycle. Our perfect period pack contains one of each of our three formulas, for a complete cycle makeover. Release encourages healthy menstrual bleeding, leaving you with a more fertile period, and better chances of conception. Also helps with clotting and cramping! Enrich helps give your body the nourishing resources it needs during this critical cycle phase, and can help correct issues like cycle length and ovulation problems. Unwind helps beat stress and cortisol, helping create the ideal conditions for successful implantation and pregnancy. Kiss PMS goodbye! It's time to take control of your fertility. + What's in your formulas? Conceivable produces high-quality proprietary formulas specifically formulated for infertility patients. Most formulas contain 4-15 different herbal products that are combined and macerated to extract the essential active ingredients. See below for a complete list of the ingredients in the formulas you are taking. Our formulas combine 2,000 years of herbal tradition, current medical research, and our experience treating more than 7,000 infertile couples. While there’s no single herb that’s a fertility panacea, our customized formulas address menstrual cycle irregularities specific to each phase of the menstrual cycle. Release: Proprietary Extract Blend of Cooked Rehmannia root, Angelica root, White peony root, Red peony root, Sichuan lovage rhizome, Peach seed, Safflower flower, Lycium fruit, Motherwort herb, Motherwort seed. Other ingredients: Water, Cane Alcohol, Glycerin. Enrich: Proprietary Extract Blend of Cooked Rehmannia Root, Angelica Root, White Peony Root, Lycium Fruit, Common Yam Rhizome, Poria, Medicinal Cornel Fruit, Tree Peony Bark, Sichuan Lovage Rhizome, Oriental Water Plantain Rhizome, Tortoise Plastron. Other ingredients: Water, Cane Alcohol, Glycerin. Unwind: Proprietary Extract Blend of Angelica Root, White Peony Root, Poria, Albizia Bark, Valerian Root, Siberian Milkwort Root, Bupleurum Root, Red Peony Root, Baikal Skullcap Root, Cyperus Rhizome, White Atractylodes, Turmeric Tuber Root, Tree Peony Bark, Mint, Honey Fried Licorice. Other ingredients: Water, Cane Alcohol, Glycerin. Safety is our top priotity! All our products are 100% all-natural to gently, but effectively improve your natural ability to get and stay pregnant. 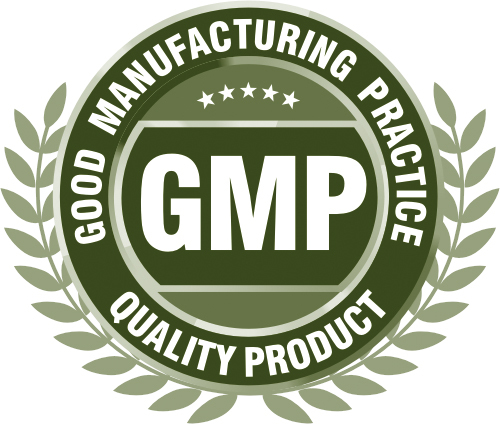 All of our formulas are proudly produced in the USA following current Good Manufacturing Practice (cGMP) standards. Our manufacturers are highly trained professionals tasked with seeking out the cleanest, highest quality and most environmentally friendly products on earth. All of our ingredients are tested for heavy metals, groundwater contaminations, pharmaceuticals, radiation, pesticides and sulfur dioxide. Always talk to your doctor prior to starting any supplement or wellness program. All of our formulas are gluten-free and don’t contain common allergens like wheat, corn, dairy, eggs, or potato starch. Some of our formulas may contain potential allergens such as citrus or shells. If you have allergies, please check the list of ingredients for the formulas you are taking. + How do I take them? The standard dose of our formulas is 2 dropperfuls, three times per day. To repeat: 2 dropperfuls, not 2 drops! A standard dropperful is approximately 30-40 drops. Just squirt your formula into the mouth and swallow, no need to hold them under your tongue or anything fancy like that. One pack will last approximately one menstrual cycle (about one month). + Is Conceivable available outside the United States? Conceivable is currently only available in the United States.